Getting enough movement and exercise into your daily life is extremely important for your health and wellbeing. If you are too sedentary, you become much more at risk for dangerous and potentially life-threatening health conditions including but not limited to obesity, heart disease, diabetes, and many more. Leading an excessively inactive lifestyle can also cause emotional problems as well. Mental disorders like depression and anxiety are frequently linked to a dangerous lack of exercise and body movement. Unfortunately, it can be very difficult to know if you’re fitting enough exercise into your daily schedule. Whether you go to the gym several mornings per week or take a brisk walk every evening after dinner, have you ever wondered whether the exercise you’re doing is really enough to keep you healthy? It can also be a challenge to track the effects of your exercise routine. How the exercise you do affects your heart rate and the calories you burn can often be a mystery. A fitness tracker is your solution to this frustrating problem. Fitness trackers are devices you wear around your wrist all day long. They track your exercise, heart rate, daily steps, and more in order to make sure you’re maintaining a lifestyle that is healthy for you. 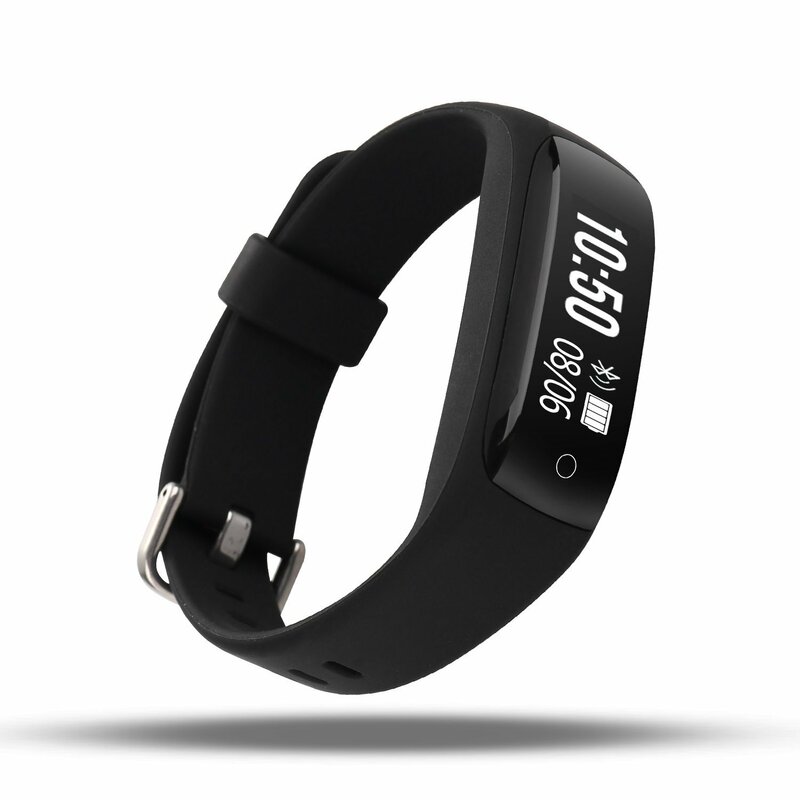 Read the following Fitness Trackers reviews to find the suitable one for you. This smart fitness tracker from LESHP is ready to be by your side wherever you go. It is completely waterproof. If you swim laps while wearing this wristband, the device won’t sustain any damage. No matter if you do your exercise on land or in the water, this fitness tracker has you covered. The fitness tracker has many different functions; it is very efficient. The wristband monitors your sleep, your steps, your calorie consumption, and any exercise you perform throughout the day. It recognizes when you’re sleeping, awake, walking, or working through a cardio routine in order to most efficiently track your activity and provide you with accurate data. This wristband’s battery lasts a long time. However, when it does run low, simply connect it to your computer or a USB port to recharge it and use it again. This comfortable, lightweight wristband is an effective fitness tracker and a fashion statement in one. It comes in many different bright, fun colors, including red, yellow, purple, and the bright blue pictured above. The band also comes in neutral shades of black, gray, and white. Beyond its external appearance, this fitness tracker is extremely thorough. It monitors your heart rate, acts as a pedometer, measures distance, analyzes your sleep patterns, and much more. The band also gives you real-time weather updates and syncs to your mobile phone in order to let you know when you’ve gotten a call or a text message. 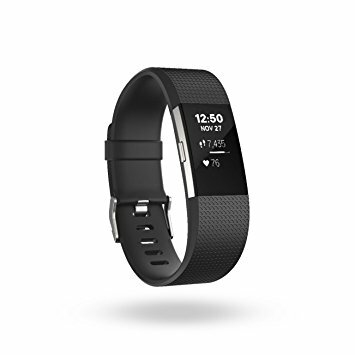 This fitness tracker features a lithium ion polymer battery and runs continuously for up to three to five days before it needs to be recharged. It’s also waterproof and can be fully submerged in water for up to thirty minutes without sustaining damage. If you’re a fan of camping, backpacking, or participating in any other type of exercise that puts you off the grid for a while, this wristband is the fitness tracker for you. 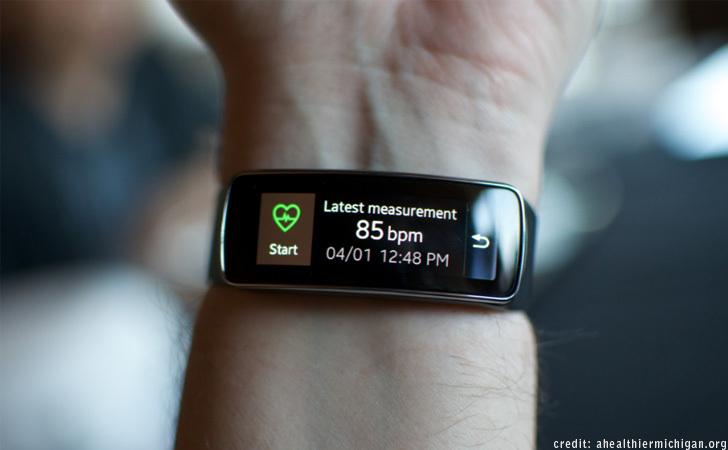 While you wear it, the wristband monitors your heart rate, sleep patterns, movement, and more. It has no buttons and a simple, easy-to-use touchscreen interface display instead. This fitness tracker automatically monitors your heart rate every fifteen minutes, recognizes the steps you take, the distance you move, and the calories you burn, and more. Plus, it completes all of these helpful daily functions fully wirelessly. The wristband can sync to your Apple or Android mobile phone and transfer its dat to your phone so that you can view it more easily. This wristband does more than just let you know how much sleep you’ve gotten on any given night. It deeply analyzes your sleep and tells you about the quality of your sleep after you wake up in order to help you learn how to sleep longer and better every night. This fitness tracker from FitBit deeply analyzes your exercise in order to let you know in detail how it is affecting your body and how you can improve it. Every time you perform a cardio routine, strength training exercises, or any other type of workout, the wristband takes into account your heart rate as well as the calories and the fat you burn in order to help you maximize every one of your workouts. 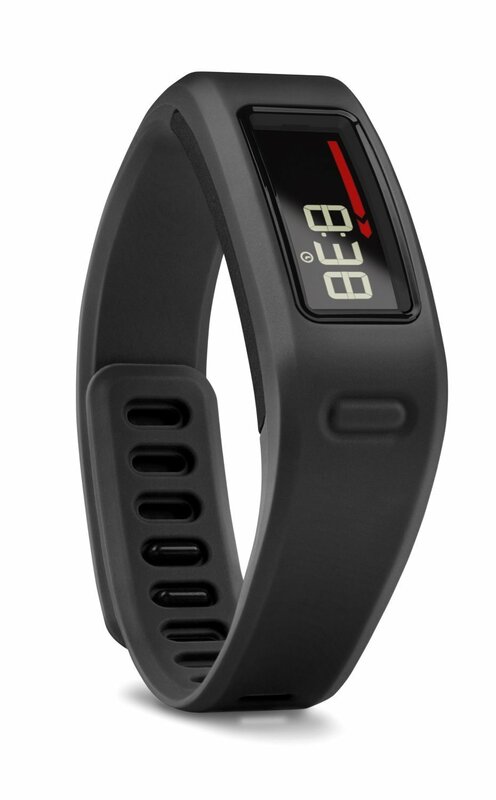 Along with monitoring specific workouts, this fitness tracker also keeps up with your everyday activities as well. Throughout the day, it tracks the minutes you’re active, the steps you take, the distance you travel, and even the stairs you climb. All of the wristband’s functions work together to help you achieve the healthiest lifestyle you can. This wristband from FitBit is a fitness tracker and a smart watch in one. It connects to your phone’s GPS in order to help you map out your runs and figure out the best path for you to take. When you exercise, the wristband continuously monitors your heart rate without requiring any sort of chest strap that inhibits your workout. The fitness tracker also features built-in workouts with step-by-step instructions to motivate you even when you’re feeling sluggish. 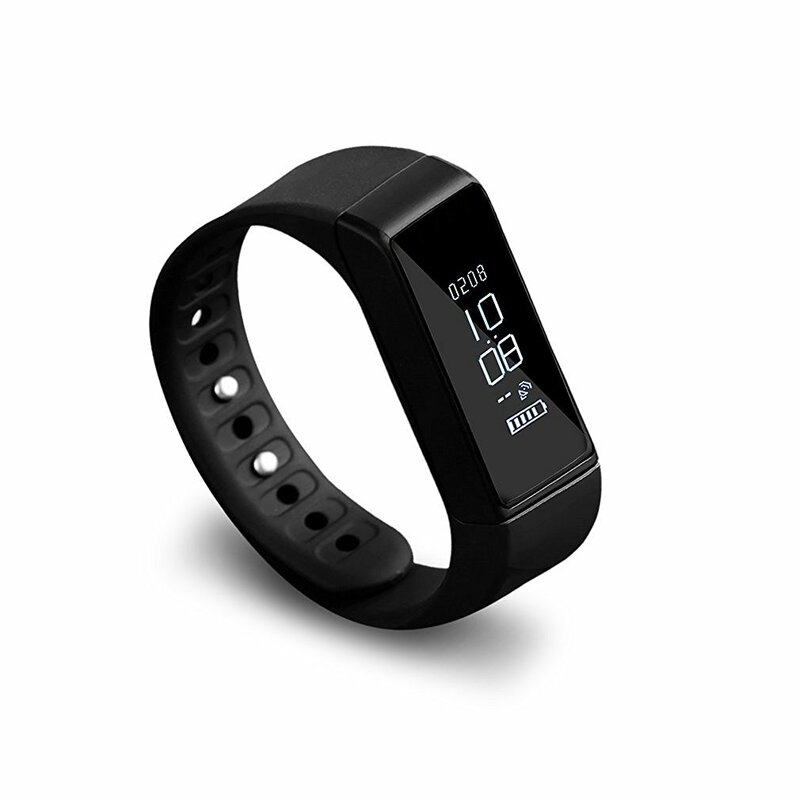 Beyond its fitness monitoring capabilities, this wristband has many other functions as well. It analyzes your sleep and acts as a silent alarm clock for when you need to wake up without waking up the whole house. Plus, it syncs to your smartphone to allow you to control your music and get texts, calls, and calendar alerts straight from your wrist. 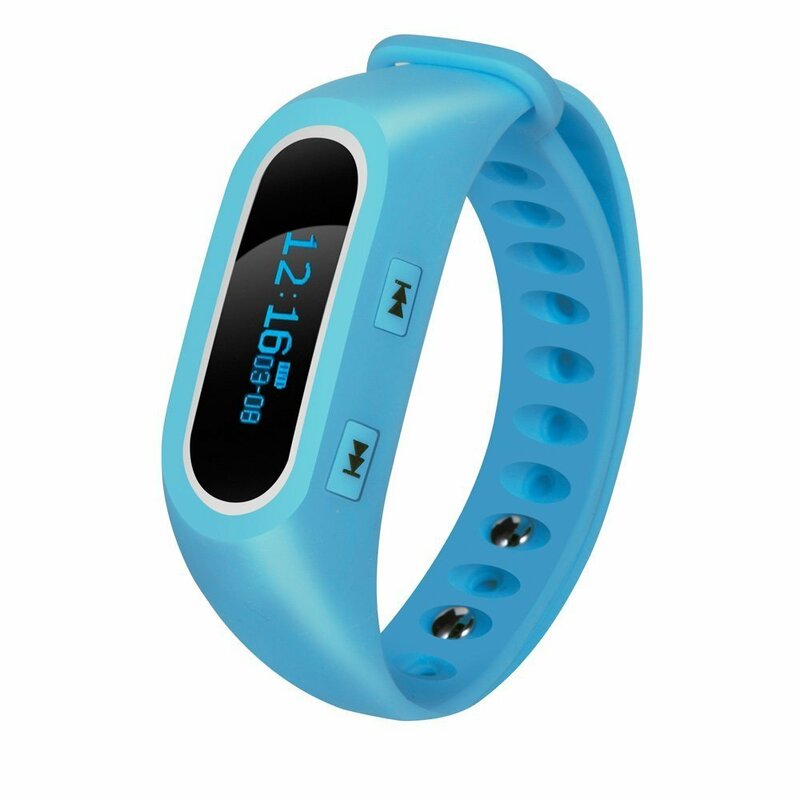 Also this is a great fitness tracker for kids. We’re all guilty of sitting too much throughout the day. Whether you work in an office or have a day off and feel like being lazy, there are undeniably days when you spend more time on the couch than you should. This fitness tracker from Garmin helps you stay active by alerting you to get up and move around when you’ve been sedentary for too long. This wristband doesn’t expect you to be a star athlete if you aren’t one. It just helps you do the best that you can every day. 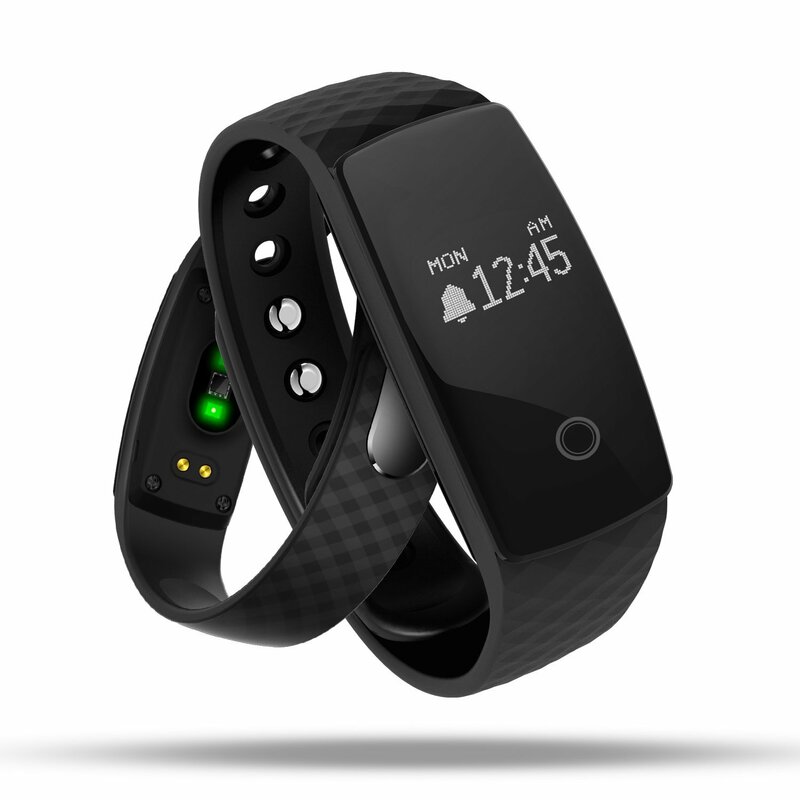 One unique way this fitness tracker help you achieve your dreams is by setting up a personalized fitness goal for you each morning based on your past activity level and patterns. This fitness tracker automatically recognizes when you start to exercise and monitors your activity accordingly. 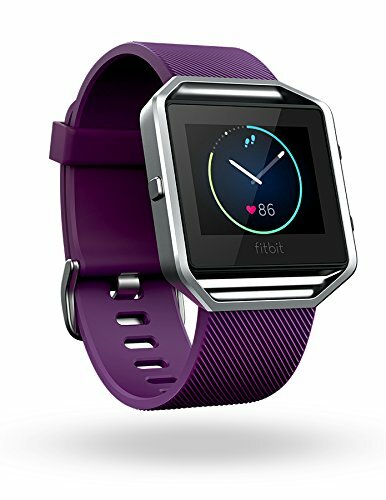 It also tracks your sleep and your all-day activities, such as your heart rate and the steps you take throughout the day. This wristband does more than just monitor your physical activity. It also keeps you in touch constantly by showing you call, text, and calendar alerts whenever they pop up on your phone. 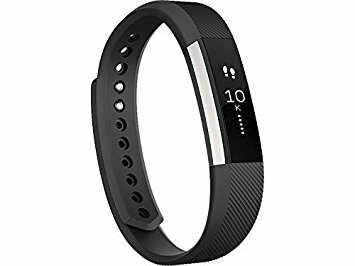 As an added bonus, the fitness tracker’s battery lasts up to five days with continuous use before it needs to be recharged. A fitness tracker can transform your life in more ways than you know. Buy a fitness tacker to get higher quality sleep, get better exercise, and get on your way to a happier and healthier you. Also you may need the Fitness Tracker APP, you can find them on iTunes Store for IOS, and on Google Play for Android.